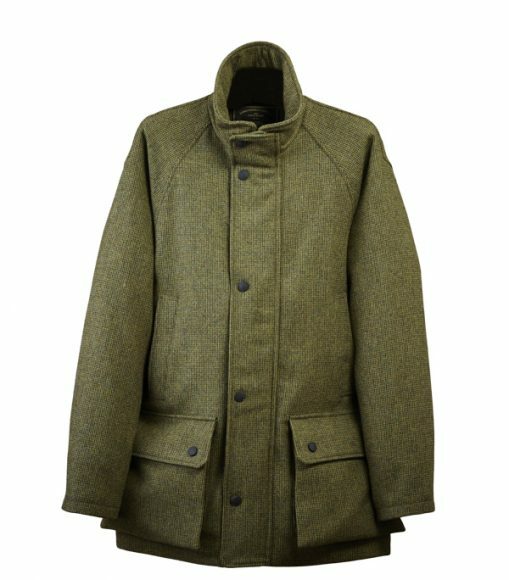 As with handcrafted, traditionally made sporting guns, the best woolen coats and clothes for the harsh conditions typical of late-season shooting tend to be a bit pricey. 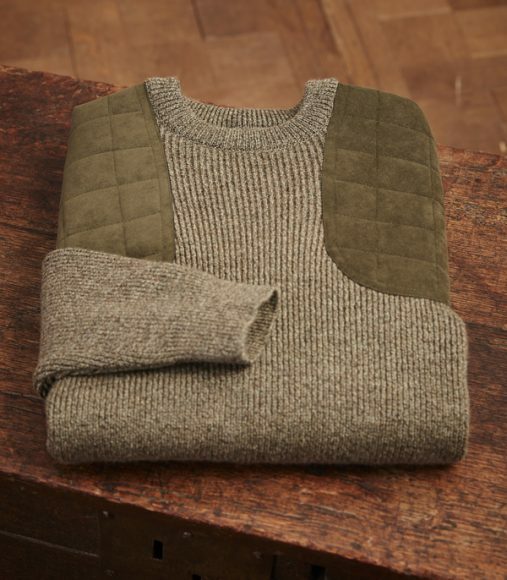 But from purveyors with a reputation built on centuries of attention to detail, the cost of the finest shooting kit is an investment in impervious comfort and functional good looks that should last more than a generation. So it is with the cold-weather offerings from James Purdey & Sons. Made to stand up to the harshest elements and to endure years of hard use, Purdey garments are worn with pride by those who appreciate quality and comfort in tough conditions. Take, for example, the pieces in this winter shooting ensemble. The tweed is sourced from Cheviot sheep in the Scottish Borders and the mill rightly known as the Home of Tweed, using exclusive patterns from the gunmaker’s archives and colors to match the season. Every detail of the garments’ designs and the tailors’ handwork are attuned to the demands of shooting when the going gets tough. The coat is the flagship tweed outerwear for cold weather—the sine qua non of shooting attire. Purdey’s Men’s Tweed Field Coat is lined with Ventile (a waterproof cotton) and cut long to extend beyond the upper body, and raglan sleeves and a pleat in the back seam ensure freedom of movement. Every detail is proven in the field, from handwarmer pockets and expandable cartridge pockets with flap retainers to rubberized snap fasteners for a tactile quiet that won’t scratch a gun. A detachable shoulder strap allows for easy carrying between drives. Quiet, comfortable, warm and long lost from the American wardrobe, there is no questioning the functional freedom of movement offered by breeks. The generous cut at the knee allows the tapered cuff to tuck inside the boot while fabric billows over the juncture, sealing out the elements. 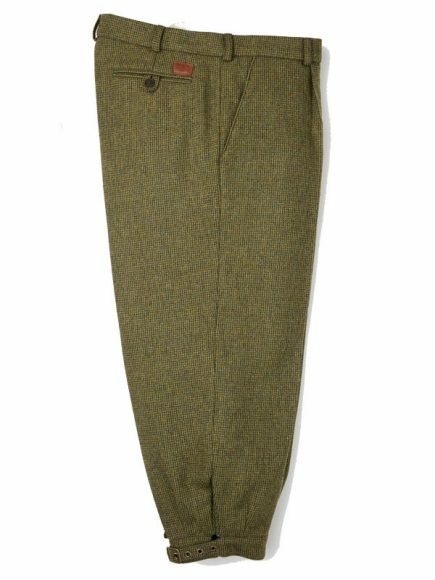 Naturally weather resistant, these tweed breeks have an added waterproof lining in a nod to modernity. 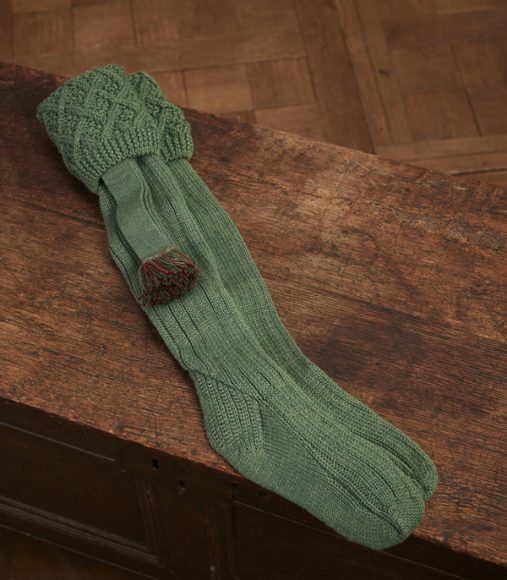 These thick, pure-merino-wool socks have ribbed bodies and classic cable-knit cuffs. They offer all-day comfort and are designed to be worn with breeks, to ensure a perfect seal at the top of the boots. Garters offer ample support to hold the socks above the knees. The Exploded Tattersall Shirt is crafted from cloth exclusive to Purdey that is hand colored to suit all occasions. 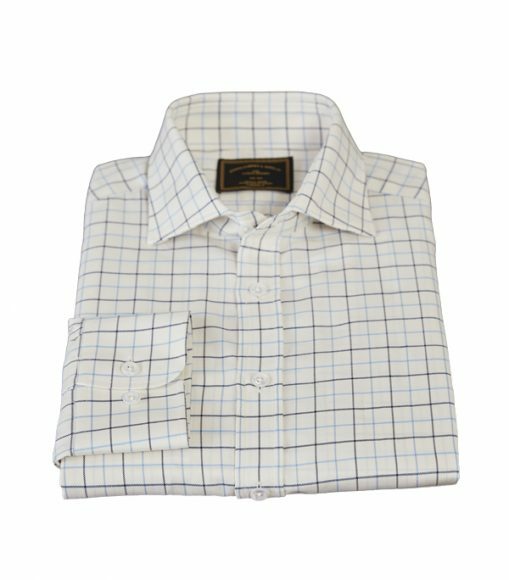 Made to high standards, including heat-sealed button sewing, the shirt has point-matching checks, a comfortable collar and two-button cuffs. Thick, soft, warm and durable, with alcantara patches for gun butts, this 100-percent Italian-merino-wool mid-layer makes standing at a peg comfortable even in the most challenging conditions. 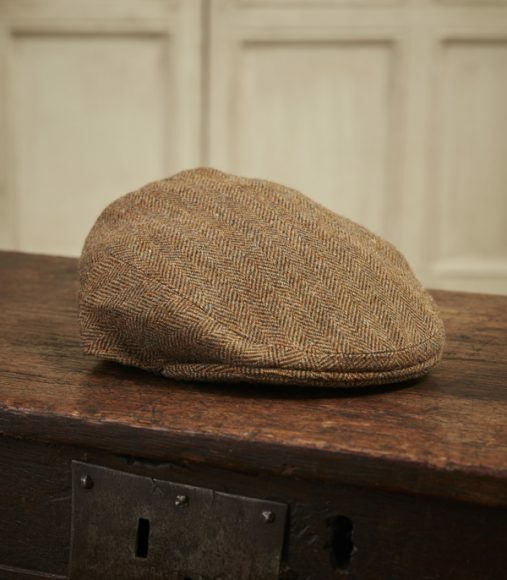 A tweed flat cap is the only way to complete the traditional shooting outfit. This one features a waterproof, breathable membrane between the tweed and satin lining, allowing Guns to remain dry and comfortable even in a downpour. 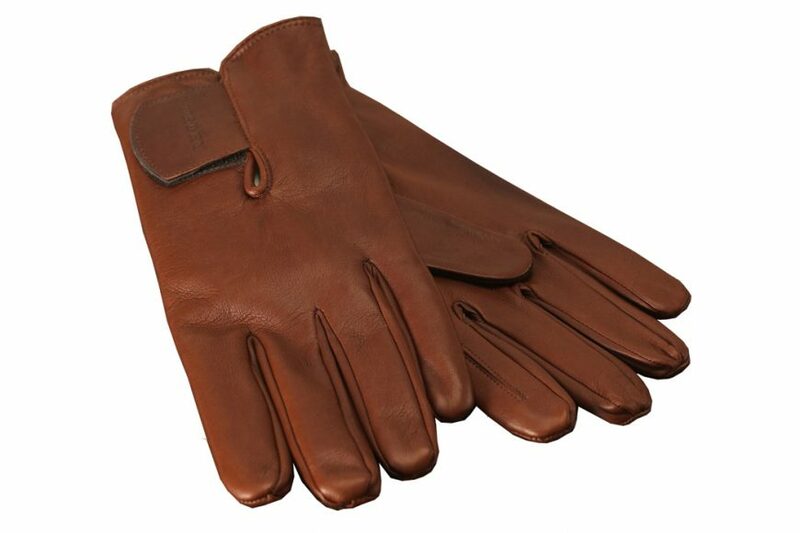 Handmade from the finest calf leather, these gloves were made for shooting, with a split trigger finger that folds back, reinforcement on the thumb of the trigger hand to guard against wear from a gun’s toplever and safety, and a heat-resistant Kevlar lining on the barrel hand. With such attention to detail paid to design and assembly, it is easy to see why these garments are worn with pride by those who value tradition and things done right. The Purdey way is to create products of distinction, and this carries through from the guns taken afield to the clothing worn while holding them. Click HERE for more information on these items and other outerwear from Purdey.